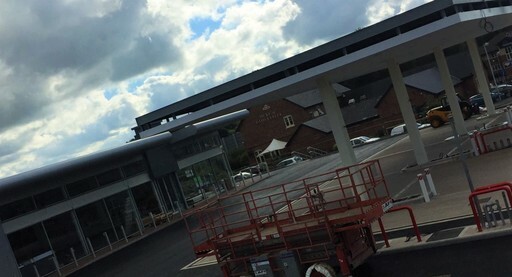 CREWE GATEWAY SERVICE STATION | G.B.R. 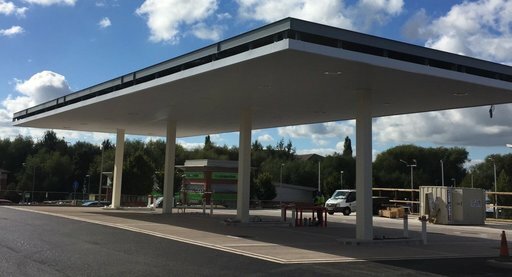 ELECTRICAL LTD.
We were appointed to undertake works on a 15 week project as the principal electrical contractor to this new build petrol station in Crewe. 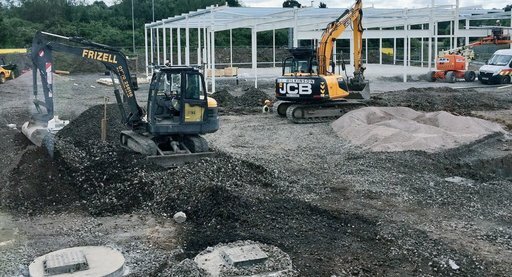 This project entailed all underground wiring through ducting to pump dispensers, jet washers and external lampost streetlighting. As part of the construction we were also responsible for fitting out the main building areas using basket tray and open ceiling lighting. 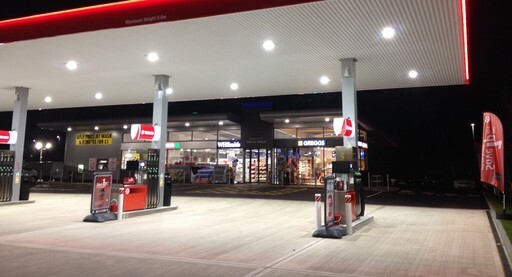 THE OUCTCOME To the perimeter of the site we installed LED streetlights, whilst the forecourt was fitted out with LED canopy lighting, jetwash and air vacuum systems and an electric charging station. 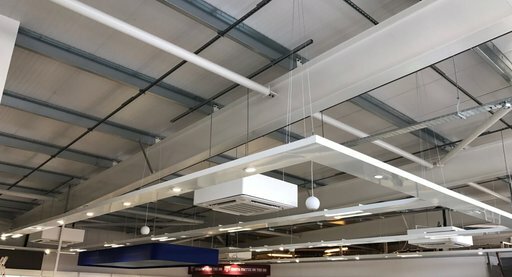 The fit out of the shop interior consisted of LED track lighting throughout, whilst mood lighting was installed to the main shop area. 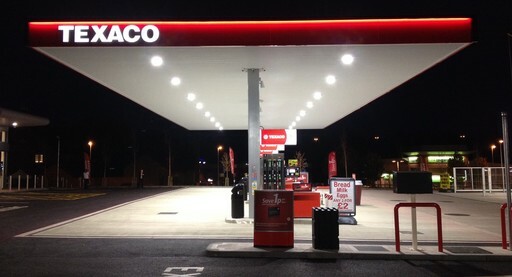 Working off an exterior sensor, the mood lighting automatically adjusts the internal light levels to their optimum based on natural light conditions. Our fit out was completed by the installation of emergency lighting, a fire alarm system and a CCTV supply throughout the site.